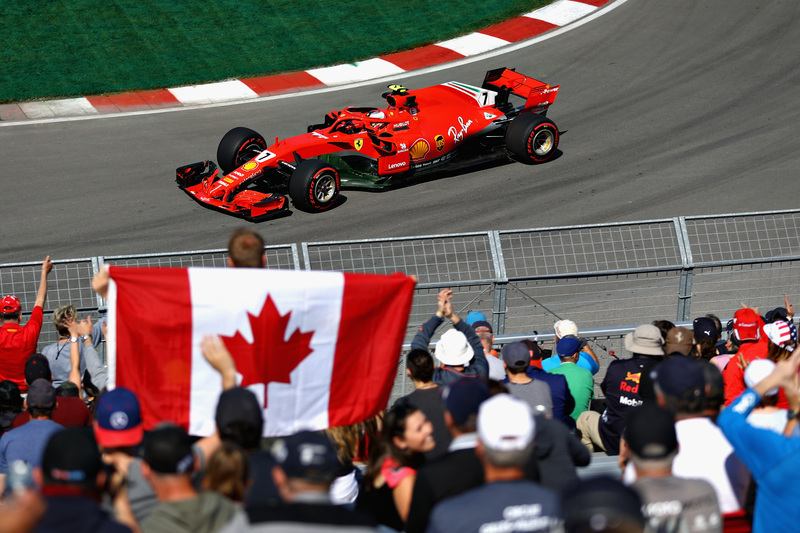 Verstappen had previously grabbed the top spot in free practice one, and if the young Dutchman felt he had something to prove in Canada following a difficult weekend in Monaco, his strong Friday form in Montréal can certainly be seen as a statement of intent. After Mercedes driver Lewis Hamilton was Verstappen's closest challenger in FP1, the four-time world champion now found himself back in fourth place, down more than half a second on Verstappen's pace-setting 1:12.198. It should be noted, however, that Hamilton set his fastest lap (a 1:12.777) earlier in the session, and on a set of supersoft Pirellis, whereas Verstappen, Räikkönen, and Ricciardo set their fastest laps on the quicker and softer hypersoft tires. Ricciardo's third place came as something of a surprise after he remained parked in the pits for a long period of time. The reason for his lack of running is unclear, but he did suffer an MGU-K (energy recovery system) issue en route to victory during the Monaco Grand Prix. Behind the top four, Ferrari's Sebastian Vettel ended up fifth after what appeared to be a messy session, with Valtteri Bottas in sixth. 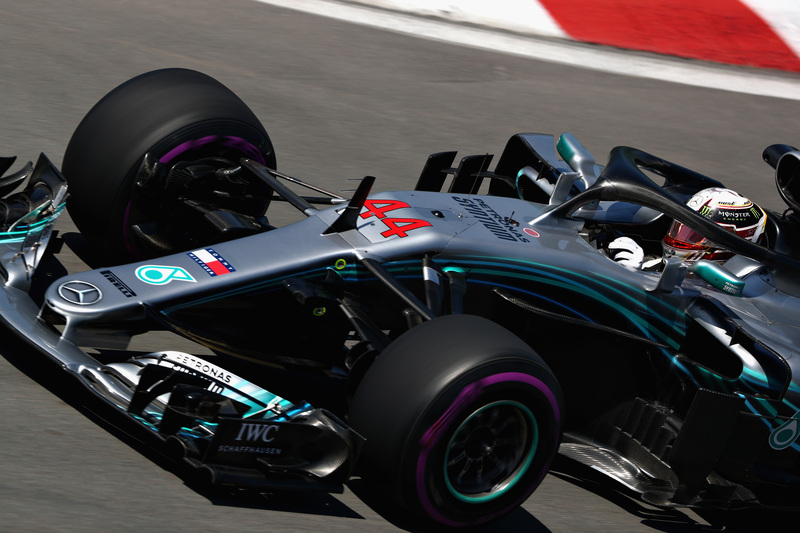 Like Mercedes teammate Hamilton, Bottas didn't use the hypersoft tires, running his quickest lap on the ultrasoft compound instead. Behind Formula 1's three top teams, Romain Grosjean ended the session in seventh as "best of the rest," underlining the American Haas F1 Team's desire to return to the top of the midfield pace following an off-weekend in Monaco. Force India's Esteban Ocon and Sergio Pérez claimed eighth and ninth, with McLaren's Fernando Alonso rounding out the top ten. Alonso was (perhaps conspicuously?) seen speaking with Andretti Autosport chief Michael Andretti at the beginning of the session, no doubt fueling rumors about a possible McLaren IndyCar return, following Alonso's 2017 Indy 500 appearance with a McLaren/Andretti Autosport entry. Alonso is once again linked to a future in IndyCar. A big talking point for the weekend in Formula 1, however, will be the engine updates bought by Ferrari, Renault, and Honda with Mercedes being the only supplier not to bring an updated power unit. The relative performance of the Renault and Honda will be particularly interesting as Red Bull Racing is set to pick between the two for 2019. The second practice session, meanwhile, was briefly interrupted by a red flag following Renault's Carlos Sainz hitting the wall exiting Turn 7. The Spaniard hit the wall backward and bounced off it with quite some force. He was able to make it back to the pits, but the debris he left behind necessitated the track being cleaned. McLaren's Stoffel Vandoorne caused a brief virtual safety car phase after hitting the Turn 9 wall. The young Dutchman looks to bounce back from his rough weekend at Monaco by setting the fastest time in FP1.